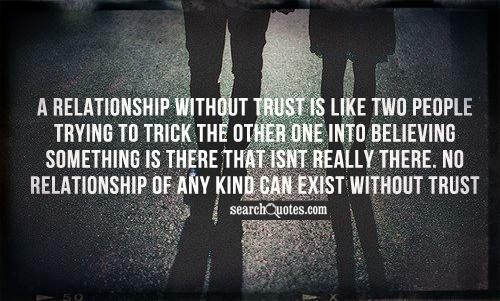 Having someone to trust is one of the greatest tools a person can have in life. The trust between two human beings is one of the most wondrous reactions that two people can easily share. When we trust someone we are basically able to give them as much love as we want to knowing that they will only use this love wisely, and will never use this love against us. 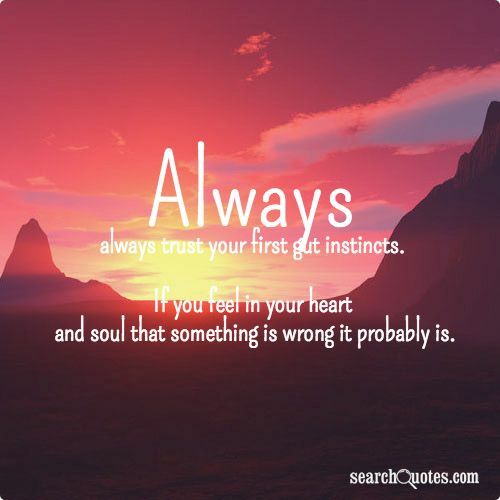 Always always trust your first gut instincts. If you feel in your heart and soul that something is wrong it probably is. When we feel that something is wrong in our heart and soul, we need to listen to these feelings. If these are genuine notions they are rarely wrong. Often our instincts will tell us that something is right, and we should be willing to listen to them in the same way to move forward. 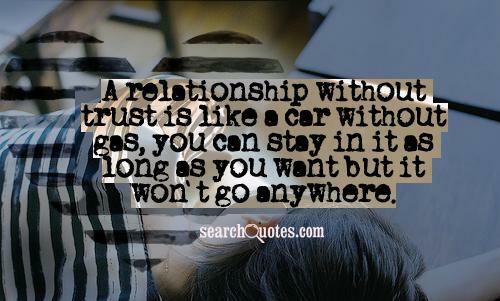 A relationship without trust is like a car without gas, you can stay in it as long as you want but it won't go anywhere. Relationships are a hard business. If you do too much, you may look crazy, and if you do too little, you may get dumped. There is honestly no sure fire way to ensure that you wont screw things up, but we can at least try to practice a few tips that may help us avoid screwing up. 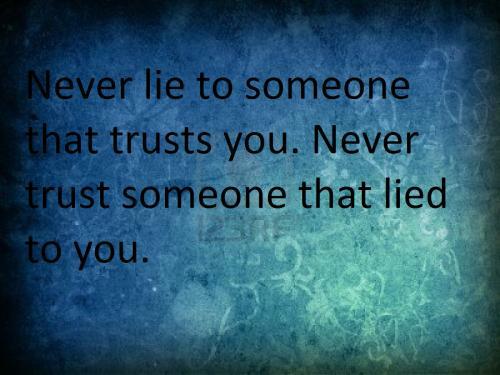 When you tell the truth you build trust in your relationships with others. 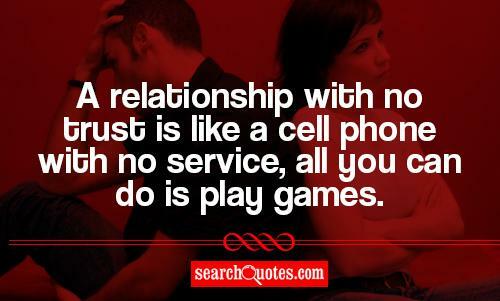 And when you lie you destroy all of the trust that you built up within that relationship.